8 – Where you will go to play. The action takes place at Adventureland in the Magic Kingdom. All of the fun and gameplay is within this area of the park, so you won’t have to travel back and forth across all of the Magic Kingdom in order to play. This is a great way to spend time if you are waiting for a FastPass+ in the area or before/after a meal! 7 – What is the experience? 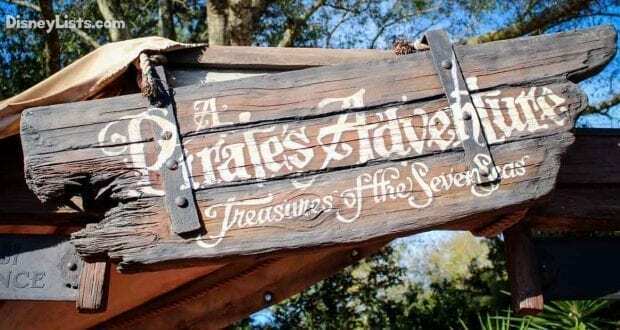 A Pirate’s Adventure: Treasure of the Seven Seas is one of the best ways to explore Adventureland at the Magic Kingdom. You are given a paper pirate map and RFID-chipped cards that serve as your “magic talisman”. The objective is to help find all of the Treasures of the Seven Seas and fight off various enemies that you encounter along the way. There are 5 possible quests to play, so you can continue with the fun once you complete one quest. 6 – The costs to play. We can’t say this about much in Walt Disney World, but this is one of the things that is actually completely free. You do have to pay for your park admission to get into the Magic Kingdom, but once you are in there are no extra costs to play, and no limits as to how many times you can play. So definitely check this one out without fear that it will blow the budget. 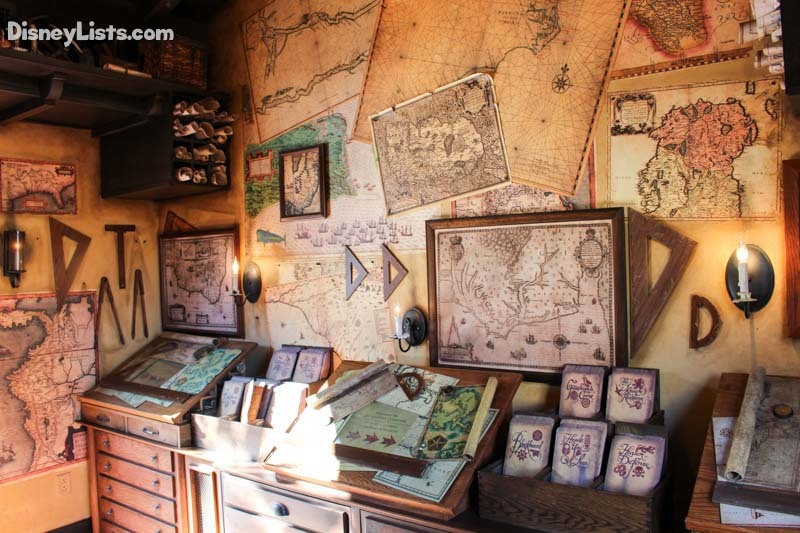 You will just visit the game headquarters in Adventureland. It is just past the Pirates of the Caribbean attraction and across from Pecos Bills/Tortuga Tavern area. You will find a touch screen computer and it will help get you step up and introduction and give you your map and “magic talisman”. From there you will be able to play with your family independently and follow the directions for the adventure. 4 – How long it will take. 3 – The 5 different maps you can play. 2 – Keepsakes for playing. Each game that you play have a different “magic talisman” card that you use for the adventure. You get to keep these cards and can add them to a scrapbook or a collectible. 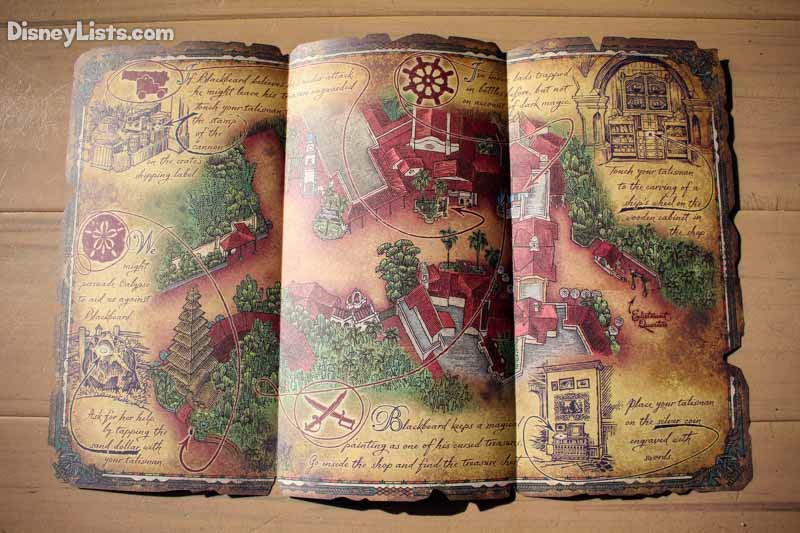 You also get to keep the paper maps, which also make great souvenirs that could even be framed as art! You can keep an eye out for more to be introduced or added to the game in future visits to Walt Disney World. 1 – Who can play? Everyone! There are no requirements to be able to play. Even the smallest of kids can hold the map and enjoy the experience with the help of their parents. The adventures are probably more challenging for kids than they are adults, but it is still fun for adults to experience the interactive and immersive experience, especially if you are a fan of pirates!